Join me and fellow MN authors Laura Purdie Salas, Tracie Nelson Maurer, and Lindsey McDivitt for a lively spring-themed reading and book signing event! Are you a Minnesota, Wisconsin, Iowa, or Dakota educator, librarian, bookseller, or publishing professional? You're invited to join us at Books for Breakfast, celebrating its 25th anniversary! We’ll gather to learn, greet old and new friends, and enjoy a morning of books, books, books! The North Shore Illustrators’ Gathering is 2½ days of mini-classes, craft seminars, talks, book signings, informal gatherings and special events. I'll be a Blue Ribbon Author at the Alphabet Forest at The Great Minnesota Get Together! Bring the kids and join me for sandcastle-themed crafts--and check out the rest of the forest! This peaceful spot on the fairgrounds is such a gem with FREE activities and crafts, one of my favorite photo opps ever, and SHADE (the kind from overhead trees, not witty teens). Join me for a fun sightseeing ride and story time on the Stillwater Trolley! Meet at Valley Bookseller by 9:45 a.m.
Join me ON THE FIELD at CHS Field for the Reading Tree Story Time before the Saints game! Join me for story time with a player from the St. Paul Saints baseball team--AND team mascot, Mudonna! A beachy story with baseball team, it's the perfect summer story time! BookHounds is the book club for the whole family hosted by Family Fun Twin Cities! Join me for story time at GoodKids in White Bear Lake. We'll read THE SANDCASTLE THAT LOLA BUILT and have some beachy fun! I'm thrilled to be making my debut appearance as an author at Wild Rumpus Books to celebrate the launch of my new picture book, THE SANDCASTLE THAT LOLA BUILT! Join me for story time and sandcastle-themed fun! Bring the kids! Book Launch Party @ Red Balloon Bookshop! Come celebrate the launch of my new picture book, THE SANDCASTLE THAT LOLA BUILT! We'll have lots of storytelling, castle-building, beachy fun! Area Picture Book Writers! Do you know about Picture Book Salon? It’s this gem of an event/community helmed by Molly Beth Griffin. Salon meets monthly at The Loft to talk about picture books. For the May meeting, I'll be leading a conversation about picture book plots. I'll bring lots of examples and we'll do some mini exercises with an eye toward sparking connections and creating some "jumping off points" for new work. Join me! Come join me for an Ella and Penguin story time at Addendum Books to celebrate Children's Book Week! We'll read and visit--and make Penguin masks! Join me for Ella & Penguin Storytime at Barnes & Noble Galleria. We'll read and dance and do some Penguin crafts! Celebrate Independent Bookstores! I'll be at Red Balloon Books as a guest bookseller from 10-noon along with fellow local author Kelly Barnhill (!). Stop by, say hi, and we'll find books for everyone on your list! Join me in Red Wing for this joyful event featuring Minnesota authors and illustrators, and all kinds of creative crafts and activities for kids (and adults!). Join me for a fun sightseeing ride and storytime on the Stillwater Trolley! What could be more refreshing in the summer than a Penguin Party? Join me at Oakdale Library for storytime fun and crafts with Ella and Penguin! Join me and my pal, author and illustrator Stephen Shaskan, for storytime fun at the Bookhounds Summer Family Bookclub, hosted by Family Fun Twin Cities! 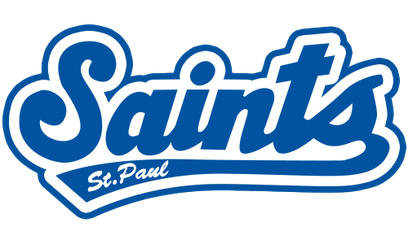 Join me for storytime with a St. Paul Saints baseball player! The Saints are taking their fabulous Reading Tree program out to the St. Paul Libraries. Come on down for some fun with books and baseball. I mean, that's a pretty good Saturday morning, right? Hope to see you there! Join me at CHS Field for Ella and Penguin story time before the St. Paul Saints Game! Join me for Ella and Penguin storytime--and make your own Penguin mask! Book sales at this event will benefit the one and only Cornelia Elementary School. Hooray! Join me and my pals form Family Fun Twin Cities for a story time party at the BRAND NEW Barnes & Noble Galleria. Come for story time, book signing, and matchy matchy games and crafts! Help me celebrate the launch of ELLA AND PENGUIN: A PERFECT MATCH! Come for a reading, book signing, and some matchy matchy fun. Join me in Stillwater for story time on the trolley with Valley Bookseller! Join me for story time, glow-in-the-dark stickers, penguin crafts and a book signing--all part of the book fair to benefit Kenny Elementary School! Come join me for a reading and book signing with glow-in-the-dark stickers and penguin crafts too! I'm thrilled to be joining a host of local authors and illustrators to talk books at this wonderful event perfectly suited for teachers, librarians and children's book enthusiasts. Join me for a cozy morning of breakfast and book talk!